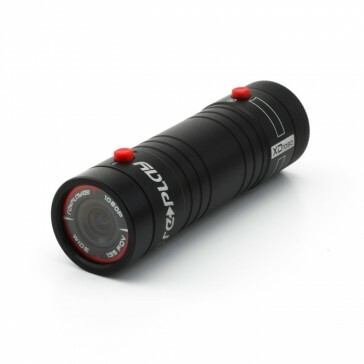 The Replay XD 1080 offers full HD video in a highly-rugged and water-resistant aluminium housing. At 85g it's one of the smallest and lightest 1080p video cameras on the market, making it ideal for helmet mounting, and with a high-quality 135° glass lens with an anti-glare coating, it offers sharp, colourful video. NOTE: The Replay XD 1080 has now been discontinued and replaced by the Replay XD 1080 Mini. 135° wide angle lens with a 5MP CMOS sensor. 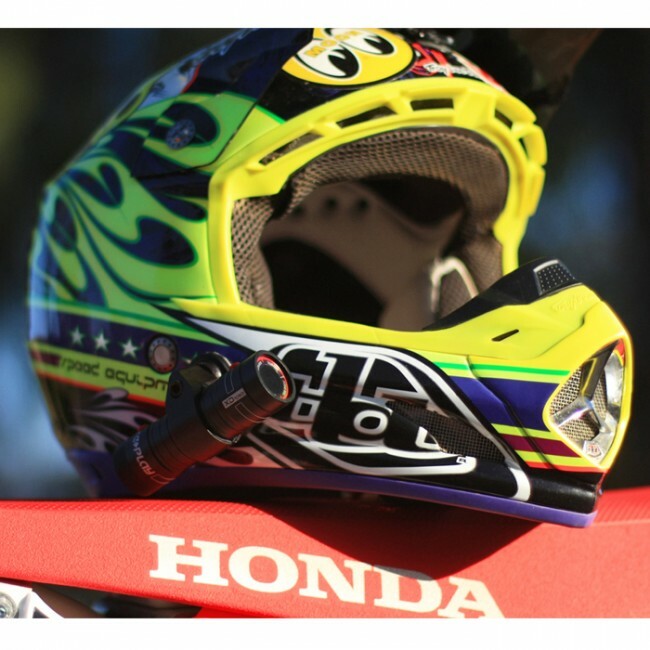 Vibration feedback for easy control while wearing a helmet. A range of adhesive mounts. MicroSD cards up to 32GB. 4GB card supplied. Designed to take more than a few knocks in its stride, the Replay XD 1080 delivers outstanding, full HD video from its rugged aluminium housing. It ensures you get crisp, colourful video, no matter how extreme your activity. In independent tests, the Replay XD 1080 is frequently awarded top honours in terms of video quality, offering superb image and sound capture in all conditions. With simple controls, subtle LEDs and a clever vibration feature, which can be felt through some helmets, the Replay XD 1080 is designed with cyclists and bikers in mind. To avoid complication, one button controls the power and another starts and stops recording. 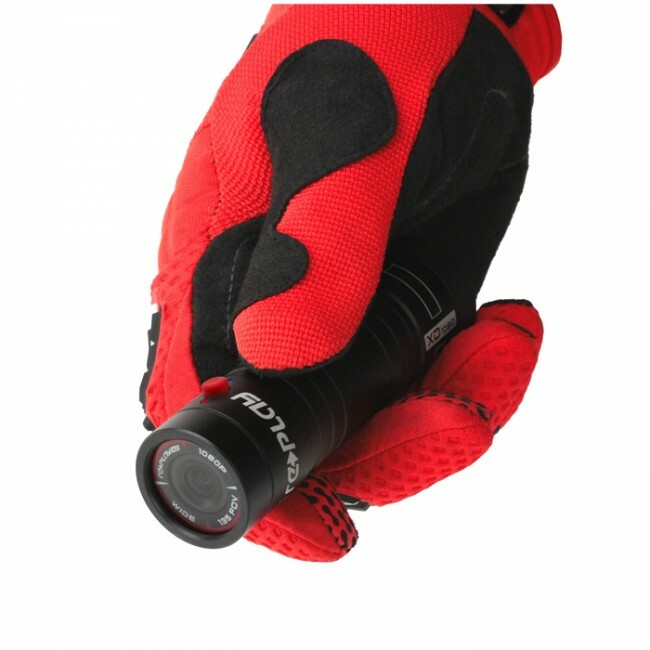 These buttons can be felt through biking gloves and are positioned far apart so that the camera can be operated by touch alone. Other controls are hidden beneath a water-resistant screw panel at the rear which allow you to alter the filming and photo modes. 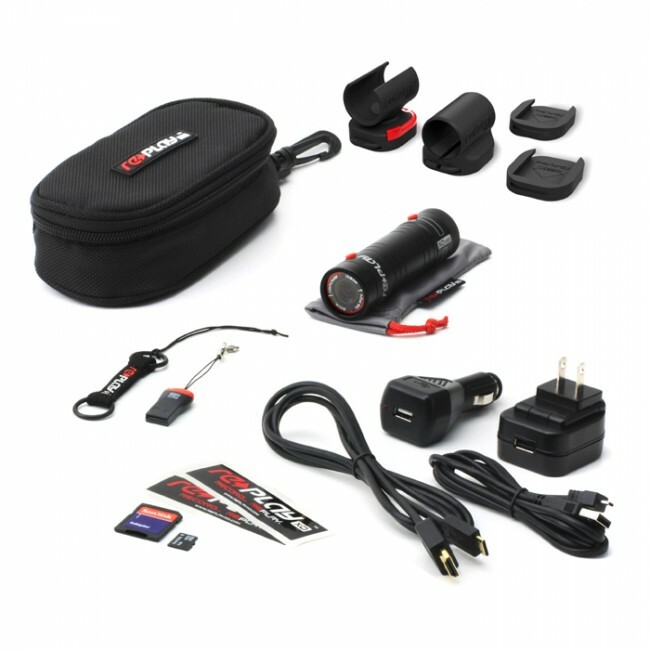 Here you can also access the micro SD card and connect an external microphone if required. The Replay XD 1080 is supplied with two mounts. One holds the camera in a fixed position, while the other offers varying degrees of rotation and elevation to allow the complete positional flexibility. 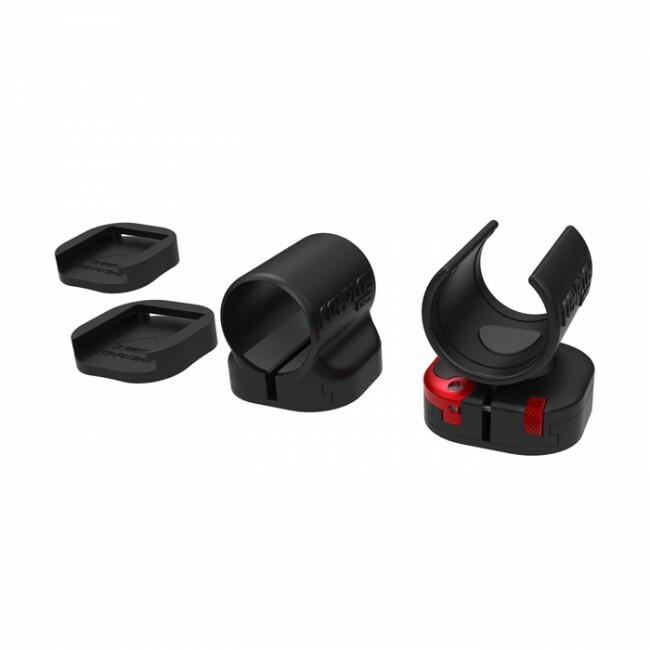 Each mount clips solidly into the 4 snap trays provided, two flat and two curved, allowing you to mount the camera on your helmet or bike (please note that a handlebar mount is not supplied with this camera - please contact us for these mounts).